FireTrack™ is a fire inspection and permitting system capable of tracking weed abatement, generating custom reports, and automatically handling calculations. Keep a safer city—Ensure a safer city by tracking weed abatement and safety compliance; give citizens the comfort of feeling safe knowing that active measures exist to prevent fire. 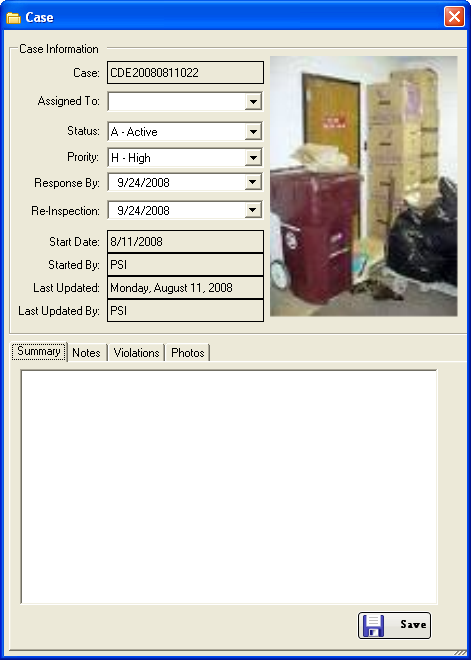 FireTrack™ offers inspectors the ability to organize and protect data, assign cases, and audit active investigations. 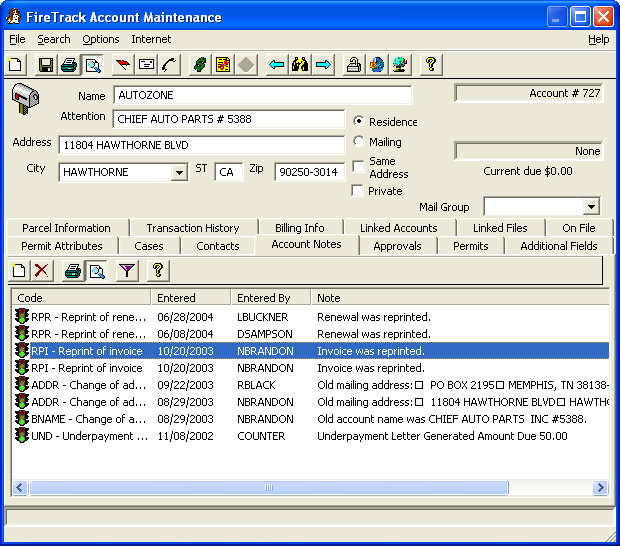 FireTrack™ is a true client server application. It is written using C# / C++ to obtain maximum speed and flexibility possible. FireTrack™ complies with the Open Database Connectivity (ODBC) technology that allows FireTrack™ to utilize any ODBC compliant database. It is designed for single user, network and remote environments. Our systems are designed to run on reasonably new Windows® systems. An ODBC compliant database system is required. Often this means a Windows® server with MS Sql.